Broward County is located along the Gold Coast in southeastern Florida. It is the second most populous county in the state, behind Miami-Dade County. Fort Lauderdale is the county seat and the largest city. The county is part of the Miami metropolitan area. 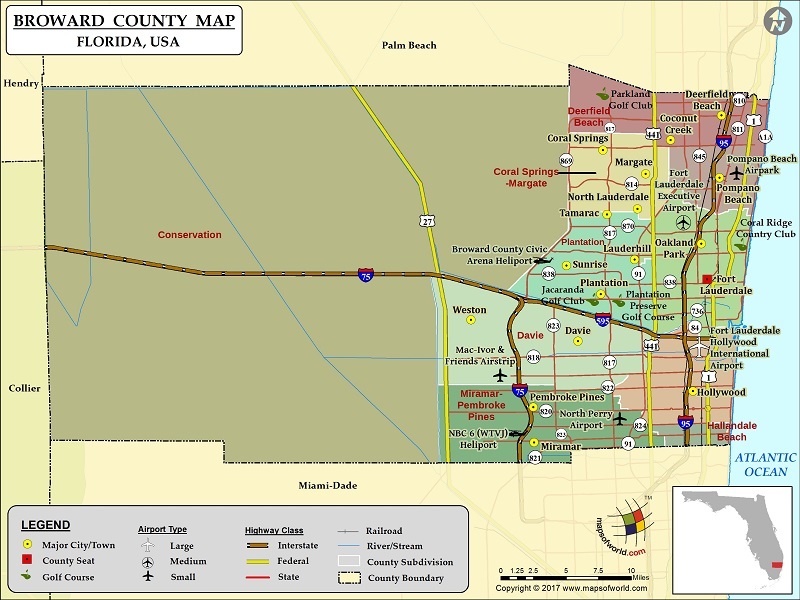 Broward County is home to nearly 1.9 million people and it covers an area of 1,323 square miles. Las Olas Boulevard, Butterfly World, Hugh Taylor Birch State Park, International Swimming Hall of Fame, and Fort Lauderdale Museum of Discovery and Science are major points of interest in the county. Pembroke Pines, Hollywood, Miramar, and Coral Springs are other cities in Broward County. Interstate 95 and 75 run through the country. Fort Lauderdale Hollywood International Airport is popular among Caribbean-bound tourists.